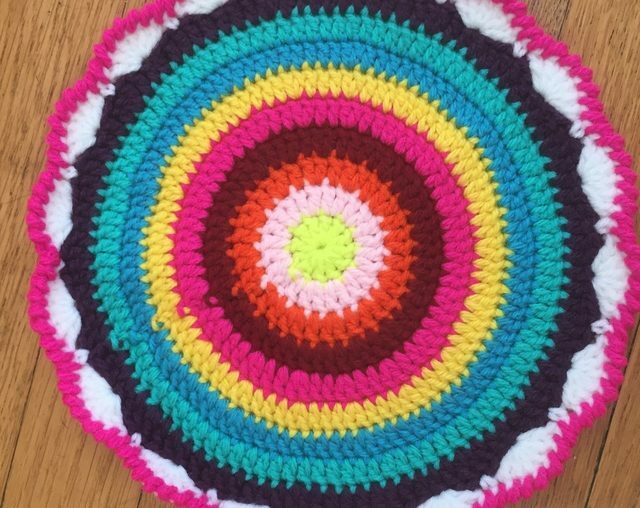 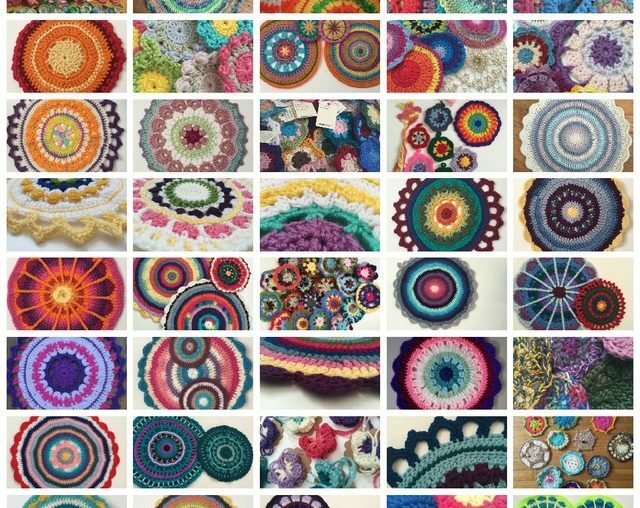 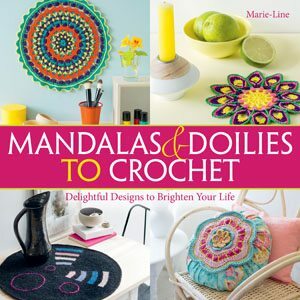 The book that I’m looking at now is called Mandalas and Doilies to Crochet: Delightful Designs to Brighten Your Life. 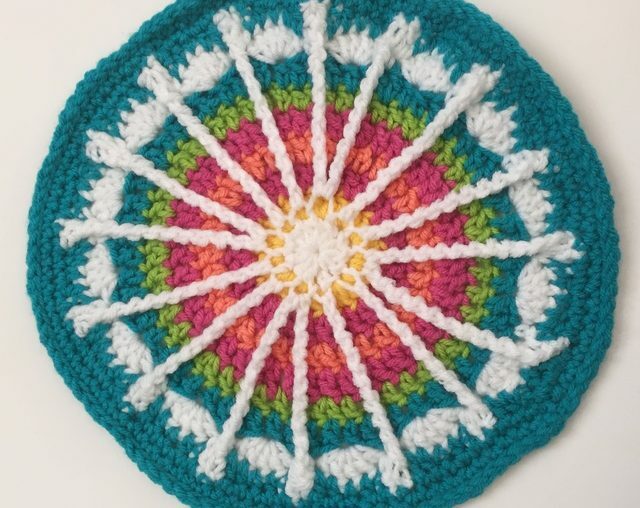 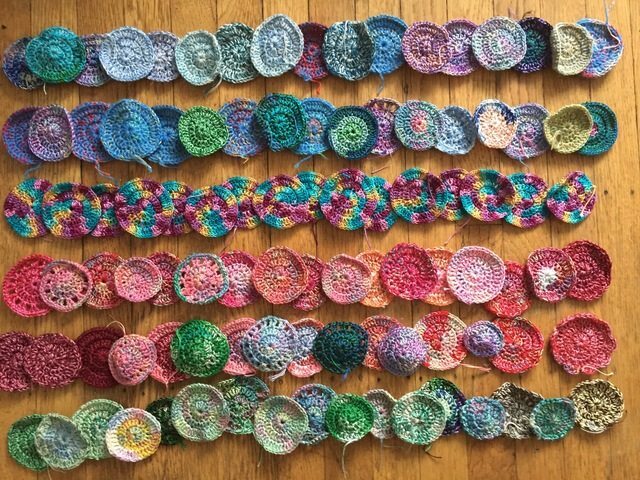 This book doesn’t particularly differentiate between the two (mandalas and doilies), considering both to be round, typically colorful, crochet designs. 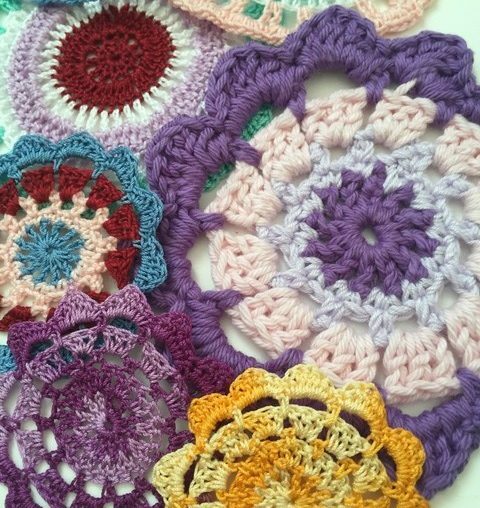 The idea behind the title is to take inspiration from vintage dollies but to recreate them as absolutely contemporary decor, primarily through the smart use of bold colors.